Elke 3 maanden organiseren we gratis gezondheidszorg voor jongeren uit ons werkgebied in Navotas. Hieronder het jongste verslag van onze verantwoordelijke dokter: Hi, Mark! Belated happy new year! The holidays had been busy because the office had scheduled a seminar for january 3 & 4 and I had to prepare for that since I was facilitating. We planned to have INA painted during the Christmas break; unfortunately I could not reach Elsa that time. I guess we will do it during the summer break. Anyway, here is the report for the last free clinic held on December 7th, Saturday. 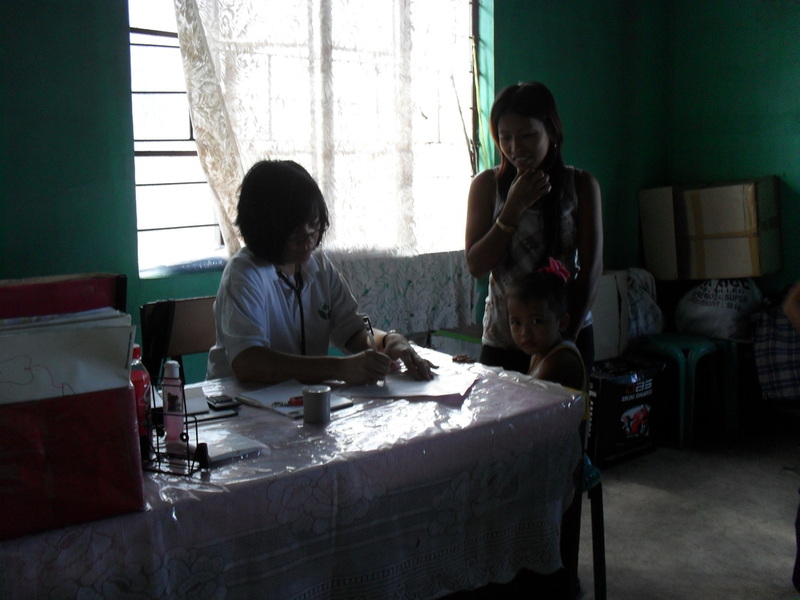 There were more patients seen that time and many were really sick compared to previous free clincs done in Navotas. I had some measles cases, pneumonia, and respiratory problems. Best regards!! INFORMATION NUTRITION ACTION (I.N.A.) FOUNDATION INC.